SinuSys Corporation is a medical device company focused on developing new therapies to improve the sinus health of patients. The company’s first FDA-cleared product, the Vent-Os® Sinus Dilation System, is designed to resolve sinusitis symptoms in a simple, two-step interventional procedure. The device enables gradual dilation of the maxillary sinus ostia, which is designed to maximize patient tolerability of the procedure in an office setting under local anesthesia. Unlike balloon dilation devices that use rapid, high-pressure inflation, the Vent-Os Sinus Dilation System is a small, low-pressure, self-expanding insert designed to gently and gradually open the maxillary ostia. The Vent-Os System incorporates the Company’s proprietary osmotic technology, which utilizes the body’s natural mucosal fluids to expand the insert before removal. In an office setting, patients are comfortably relocated to the waiting room between insertion and removal of the device. The company is currently developing dilation devices for use in the frontal and sphenoid sinus, and the proprietary osmotic self-expanding insert technology can be adapted for other ENT applications. Chronic sinusitis affects more than 31 million people in the United States. It is more prevalent than heart disease and asthma and has a greater impact on patients’ quality of life than chronic back pain or congestive heart failure. The majority of patients with chronic sinusitis are treated with oral antibiotics and/or nasal steroids, which can increase the risk of antibiotic resistance and cause unwanted side effects such as epistaxis (nose bleeds), nasal ulcers, and nasal and oral infections. The most effective treatments are Functional Endoscopic Sinus Surgery (FESS) and balloon dilation at high pressures, which are known to cause significant patient discomfort and are conducted in a surgical suite under general anesthesia or IV sedation. The United States healthcare system currently spends more than $8 billion annually on improving the health of patients with sinus conditions. Mr. Schreck co-founded SinuSys in 2010. Previously, Mr. Schreck served as Chairman of AcelRx Pharmaceuticals, an emerging specialty pharmaceutical company he co-founded in 2005. As founding Chairman and CEO of AcelRx, he raised over $60 million to develop three Phase 3 ready assets from inception, which positioned the company for an IPO. 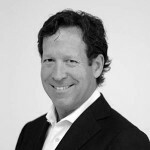 Prior to founding AcelRx, Mr. Schreck served as founding CEO & President, and then Chief Financial Officer and Director of DURECT Corporation, where he raised approximately $200 million to launch and build DURECT into a NASDAQ listed company with a strong financial position and a robust, diversified pipeline. Mr. Schreck has held various investment banking positions in the San Francisco Bay area and London, including Montgomery Securities and Manufacturers Hanover Limited. Mr. Schreck is a graduate of Menlo School and Williams College. Dr. Hester co-founded SinuSys in 2010 and serves as an attending surgeon at Stanford University Hospital and Clinics and at Lucile Packard Children’s Hospital. After receiving his medical degree from The University of Texas at Houston, he completed his specialty training in Otolaryngology/Head and Neck Surgery at Stanford University. As a board certified otolaryngologist, Dr. Hester has remained active in the clinical practice of all aspects of the specialty and is an established author and lecturer on a national level. David has served as a Principal Investigator at XenoPort since 2007. 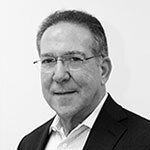 He has over 34 years of experience developing pharmaceutical dosage forms and possesses 51 US patents for erodible, osmotic, and diffusion controlled drug delivery systems. Prior to XenoPort, David served as a Johnson & Johnson Research Fellow at Alza Corporation for 32 years. David is a graduate of the University of California, Santa Barbara. 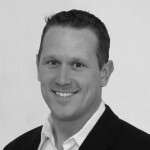 Kevin has nearly 20 years of experience in medical device product management and market development. He most recently served as Vice President of Marketing for ArthroCare ENT, where he fulfilled a leadership role in driving 20% average annual revenue growth on the strength of Coblation® applications for otolaryngology. He was a core member of the marketing team at LASIK innovator VISX Inc. (later acquired by Advanced Medical Optics, now Abbott Medical Optics), where he was a major contributor to that company’s game-changing development of the US LASIK market. He holds a B.S., Mech.Eng. from the University of Rochester and an MBA from Santa Clara University. Lloyd Griese brings over 25 years of experience as a Quality/Regulatory professional with broad experience in the medical products industry with emphasis in medical devices. He has demonstrated success in establishing and directing quality system and regulatory compliance initiatives during periods of significant organizational growth and change in both small and larger firms and has routinely established effective and successful working relationships with domestic and international regulating agencies. He developed his expertise in domestic and international quality/compliance regulations, standards, and laws at companies such as Collagen Corp, Target Therapeutics, Boston Scientific, and Benvenue Medical. Lloyd is a graduate of California State University, Sacramento. Janie has over 15 years of research and product development experience in the medical device industry. 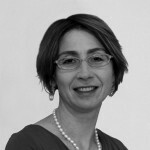 Before joining SinuSys, Janie was Director of Pre-Clinical and Emerging Clinical Research at ArthroCare Corporation. Previously, she was Vice President of Pre-Clinical and Clinical Development at Synvascular Inc. Earlier in her career, Janie spent 10 years in roles of increasing leadership responsibility in the R&D department at Guidant and then Abbott Vascular, developing novel technologies for the treatment of Heart Failure as well as Vulnerable Plaque. Janie is a co-inventor on over 15 issued and pending patents. Janie holds a Ph.D. degree in Chemical Engineering from Columbia University and a B.S. degree in Bioengineering from UCSD. Jason is a medical device professional with 10 years of experience developing medical devices focusing in the cardiovascular and vascular industries. Prior to SinuSys, Jason was the principal engineer at Nellix Endovascular (acquired by Endologix) developing a novel technology to treat abdominal aortic aneurysms. Prior to Nellix, Jason held multiple roles in research & development at Guidant Corp. and AcelRx Pharmaceuticals, Inc. Jason has co-authored 7 US Patents in the laser and medical device fields. Jason is a graduate of Rose-Hulman Institute of Technology with a Bachelor of Science in Mechanical Engineering and has received certification in Program Management from Stanford University. Mr. Raab has over 52 years of pharmaceutical and biotechnology experience. He started as a salesman with Pfizer in Brooklyn, New York and then was appointed to marketing management roles including Brazil, Argentina and Chile. He started Beecham’s pharmaceutical business in Latin America from his home in Mexico City and then served as Vice President, Latin America for Abbott Laboratories. Having relocated to Chicago, Mr. Raab was Executive Vice President, President and COO and a Director of Abbott. During that period, he was a member of the Board of Directors of Amgen until he joined Genentech as President, COO and a Director in 1985. He was elected CEO in 1990. Mr. Raab was the Founding Chairman of the California Health Care Institute and the Biotechnology Industry Organization. Since leaving Genentech in 1995, he has been involved in over 15 biotech companies, many as Chairman. He is presently Chairman of five companies. Mr. Raab graduated with honors from Colgate University and is a Trustee Emeritus. He also served as a member of the Chancellor’s Court of Oxford University. Dr. Thomas J. Fogarty is an internationally recognized cardiovascular surgeon, inventor, entrepreneur, and investor. He currently serves as Managing Director at Emergent Medical Partners, a life sciences investment firm focusing on medical device and healthcare companies. He has been involved with a wide spectrum of innovations in business and technology, serving as founder/co-founder, and Chairman/board member of over 30 medical device companies, many of which are based on devices designed and developed by Fogarty Engineering, Inc. Dr. Fogarty has published approximately 180 scientific articles and textbook chapters in fields of general and cardiovascular surgery, and is the author or co-author of more than 125 patents and patent applications. He is the recipient of the Jacobson Innovation Award of the American College of Surgeons, the 2000 Lemelson-MIT prize for Invention and Innovation and was inducted into the Inventors Hall of Fame in December 2001. Dr. Fogarty is currently Adjunct Professor of Surgery at Stanford University. Previously, he has held positions as President, Medical Staff at Stanford University Medical Center, and Director, Cardiovascular Surgery at Sequoia Medical Center. Dr. Fogarty was born in Cincinnati, Ohio and received his undergraduate education at Xavier University and his medical degree from the University of Cincinnati. He completed his residency at the University of Oregon. 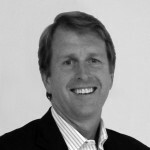 Dr. Fogarty was a founder and general partner of Three Arch Partners, and a general partner in five successive Three Arch venture funds. Dr. Hester co-founded SinuSys in 2010 and serves as an attending surgeon at Stanford University Hospital and Clinics and at Lucille Packard Children’s Hospital. After receiving his medical degree from The University of Texas at Houston, he completed his specialty training in Otolaryngology/Head and Neck Surgery at Stanford University. As a board certified otolaryngologist, Dr. Hester has remained active in the clinical practice of all aspects of the specialty and is an established author and lecturer on a national level. Dr. Peter Milner is a board certified physician and cardiologist, and serves as voluntary clinical faculty at Stanford Veterans’ Hospital. He is partner at AshHill Pharma fund, an investor in the Series B financing of SinuSys. Dr. Milner co-founded ARYx Therapeutics (NASDAQ: ARYX) in 1997 and served as CEO and President. In June 1992, Dr. Milner co-founded CV Therapeutics, Inc. (NASDAQ: CVTX), a biopharmaceutical company. CV Therapeutics was acquired by Gilead for $1.5B in cash in 2009. In 2005, he was instrumental in restructuring his family pharmaceutical company ML Laboratories (MLB:LSE) and its subsequent merger to form Vectura (VEC:LSE), a profitable company and one of the worlds leading makers of inhaled products. Prior to CV Therapeutics, Inc., Dr. Milner was an assistant professor of medicine at Washington University in St. Louis, Missouri. He is an inventor on 50 patents and is the author of numerous scientific articles published in peer-reviewed journals. Dr. Milner attended the University of Liverpool, England where he received a bachelor of sciences degree with honors in biochemistry and a degree in medicine. He completed his postgraduate training in medicine at Johns Hopkins Hospital, cardiology and pharmacology at University of Virginia and molecular biology at Washington University in St. Louis. He is a board member of the California Healthcare Institute (CHI) and a fellow of the American College of Cardiology (FACC). 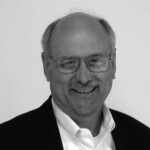 Mr. Mavity has almost 30 years of experience in the medical technology arena. He has previously served as the President and Chief Executive Officer of two public companies – InnerDyne Medical, Inc. (NASDAQ:IDYN) and Cohesion Technologies, Inc. (NASDAQ:CSON) – both of which were acquired by larger public companies, generating substantial shareholder returns. He has held similar positions in a number of private companies, in addition to serving as a Director of numerous private medical technology companies. His experience includes companies focused on cardiovascular disease (CV surgery, atrial fibrillation, heart failure), orthobiologics, biomaterials, laparoscopic surgery, obesity, sleep apnea, and peripheral vascular products. His early experience was with the 3M Company, including assignments with 3M Europe in Brussels, and leading the Sarns/3M Healthcare subsidiary. Mr. Mavity is a graduate of the University of Delaware, and serves on the Advisory Council for the UD College of Engineering. He also was an officer in the U. S. Army Reserve, Corps of Engineers, from 1973 to 1983. Mr. Vontz has over 30 years of experience in the biotechnology and pharmaceutical industry. Most recently Mr. Vontz served as President & CEO of Topica Pharmaceuticals which was responsible for developing luliconazole for fungal infections of the skin. Luliconazole was acquired by Medicis Pharmaceutical Corporation with the product receiving FDA approval in 2013. Prior to leading Topica Pharmaceuticals, Mr. Vontz served as President & COO of Connetics Corporation, a public specialty pharmaceutical company focusing on dermatology from 1999-2007. Connetics Corporation was acquired by Stiefel Pharmaceuticals in late 2006. 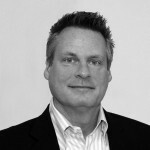 Before joining Connetics, Mr. Vontz spent 12 years at Genentech in various senior marketing and product development roles from 1987 – 1999. Mr. Vontz got his start in the pharmaceutical industry with Merck, Sharp and Dohme where he worked from 1985-1987 in sales and sales management. Mr. Vontz has a Bachelor of Science degree in Chemistry from the University of Florida and a Masters in Business Administration from the Haas School of Business at the University of California at Berkeley. Thank you for considering SinuSys in your career plans. We have no available positions at this time. Please check back regularly for new opportunities, or send us your resume to be kept on file at info@sinusys.com. Our preference at SinuSys Corp is to recruit candidates directly. We do occasionally partner with a limited number of preferred agencies when we identify a need for third party staffing support. We do not accept unsolicited agency resumes. We will pay a fee only if the candidate is presented after there is a signed recruiting agreement in place between SinuSys Corp. and the agency and only if we have explicitly engaged the agency to submit resumes for a specific current opening. We do not pay fees for unsolicited candidates submitted to SinuSys Corp. by email, fax, phone, mail, verbal referral or any other means. In the case of candidates submitted to SinuSys Corp. without a signed agreement in place or without being solicited to work on a specific open requisition, SinuSys Corp. explicitly reserves the right to pursue and hire those unsolicited candidates without any financial obligation to the recruiter or agency.